We have a complex system in New Zealand where injured people get the assistance they need from ACC and a range of other agencies. ACC's current role is focused on whether a person's need for assistance is caused by a "covered injury". New Zealand also has many different agencies that investigate what caused the injury, regardless of whether it's covered. Each of these agencies has a different process and investigates different things. Learn about our proposal to reform this personal injury system to make it more accessible and to work better for people. Learn about the limited-fault personal injury system in New Zealand and why we should think about this as a system. 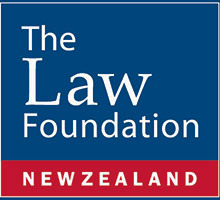 Learn about the investigation of injuries in New Zealand. Why do we have different investigations by different people? We want to hear your thoughts on reform of the Personal Injury System – discussion papers coming soon. Reform is coming so learn what you can do to help with the reform of the Personal Injury System.